TRIAS brings together three lenghts of solid beech into a very bearable puzzle. The three identical pieces pass through each other, each holds and is held, each is fulcrum and scrut in one. 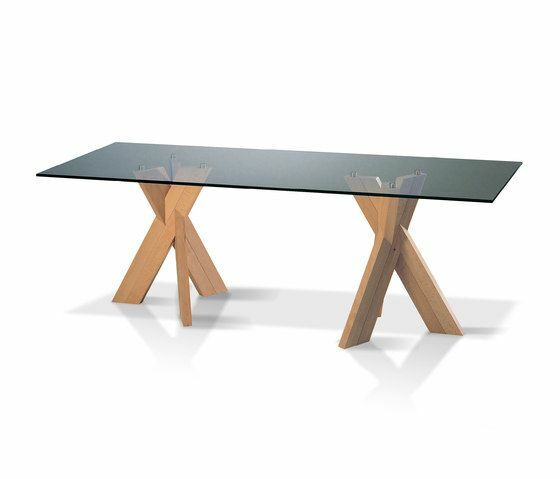 TRIAS bears table tops of glass, wood or stone and provides the basis of tables for dining, conferring or working.